This is a particle model for a chicken casually walking across the road.Time intervals are every 0.1 s. Draw the corresponding position-time graph and equation to describe the chicken,s motion. Four which one of the problems did Max Planck make contributions that eventually lead to the development of the “quantum’ hypothesis ? c) Black body radiation curves . d) The motion of the earth in the ether . 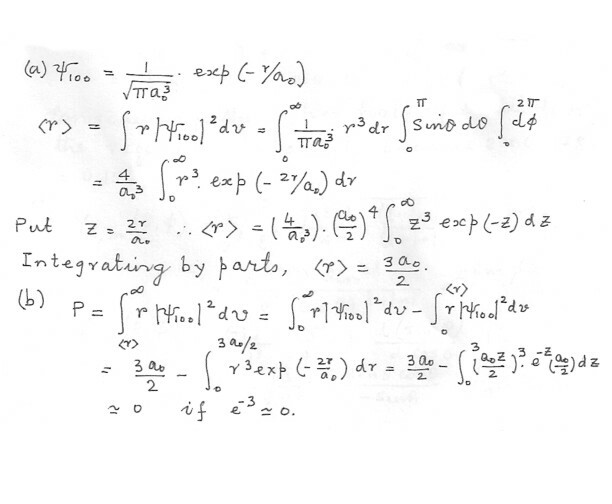 e) The invariance of the speed of light through vacuum . What is the magnitude of Lz for an electron in a psi322 hydrogen atom wavefunction ? For the harmonic oscillator, the average values of the kinetic and potential energies were equal . 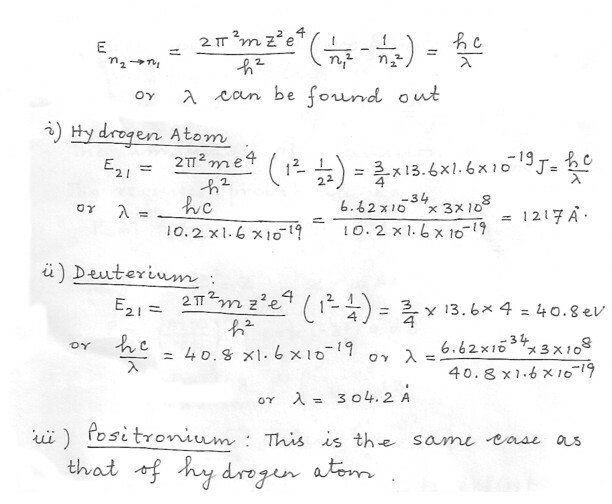 Calculate and for the hydrogen atom for the psi 100 level . Consider an electron in a 3d orbital in the hydrogen atom . 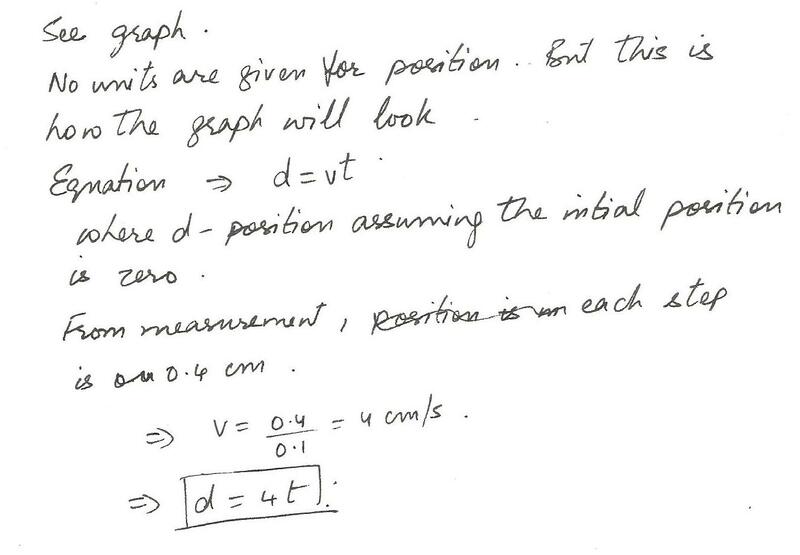 a) Determine the magnitude of the orbital angular momentum . 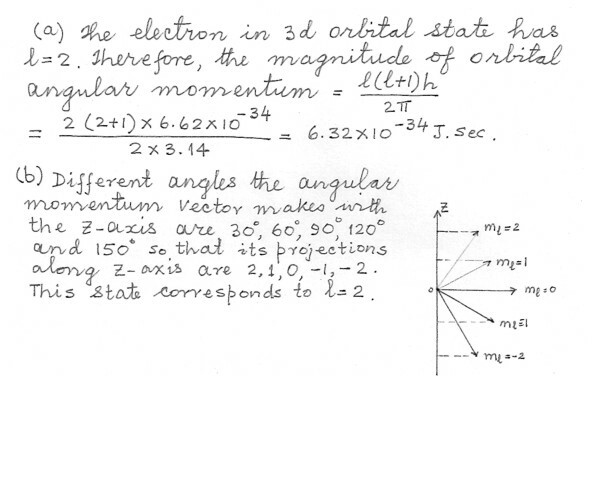 b) Determine all the angles that the angular momentum vector can make with the z-axis . Consider a one-dimensional harmonic oscillator . For the classical oscillator , the amplitude is given by . A = Sqrt h/m omega Which is gives the turning point for the classical oscillator. This is the point at which the kinetic energy is zero and the potential energy is a maximum , ie . the particle stops and reverses direction . a) For the ground state wave function , show that its curvature (second derivative) is zero at the classical turning point . b) Calculate the probability that the particle will be in the classically forbidden region (beyond the turning point) by calculating the probability of finding the particle between the turning point and infinity, A<= x <=infinity for n = 0 and n = 4 . How much energy is required to remove a 5p electron from a hydrogen atom and leave it infinitely far away with zero kinetic energy ? A hydrogen atom consist of a proton and an electron. However, if a negatively charged muon is substituted for the electron a hydrogen-like atom can be formed from a proton and negatively charged muon . The muon mass is m muon = 206 me-. 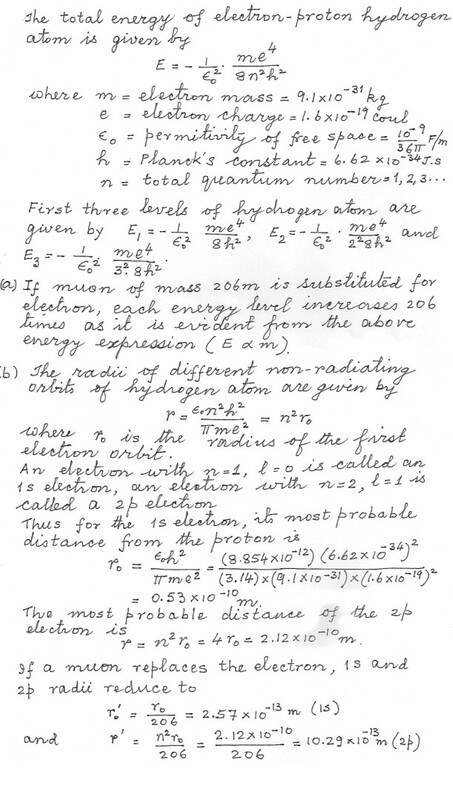 a) How do the energies of the first three levels compare to the hydrogen atom ? b) What is the most probable distance from the proton for the 1s and 2p0 levels of this atom and the hydrogen atom ? An electron is in the n = 2, I = 1, m = 0 state of the hydrogen atom . 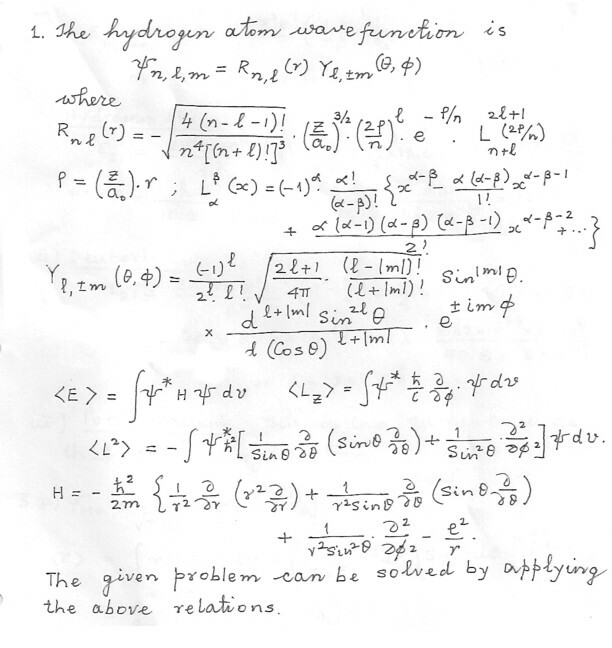 What is its wave function in momentum space ? 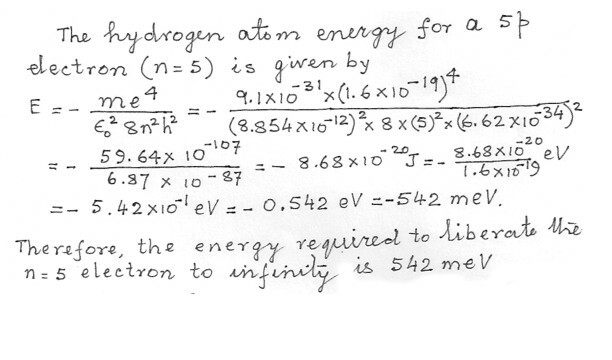 (a) Find the expectation value for an electron in the ground state of the hydrogen atom . Here r is the radial distance from the nucleus . Compare the wave lengths of the 2P„³ 1S transition in (1) hydrogen . (1) deuterium (nuclear mass = 2 x proton mass) , (3) positronium (a bound state of an electron and a positron , whose mass is the same as that of an electron ) . (a) What is the expectation value of the energy ? (b) What is the expectation value of L2 ? (c) What is the expectation value of Lz ?